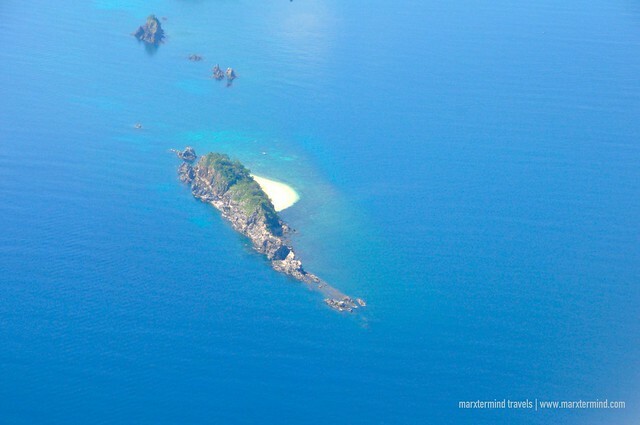 Beautiful islands from above, you’ll know that you’re in Palawan already when you see them. I was on window seat and excitedly peeked through the window to check the aerial view. It was still the same beautiful sceneries, just like the first, second and third time that I’ve flown here. “Oh yes, I’m back in Coron”, I had told myself. Two years after my last visit, I got the chance to get to this side of Palawan again. This part of the country is one of my favourite destinations. Why? The view from above alone is a welcome treat. 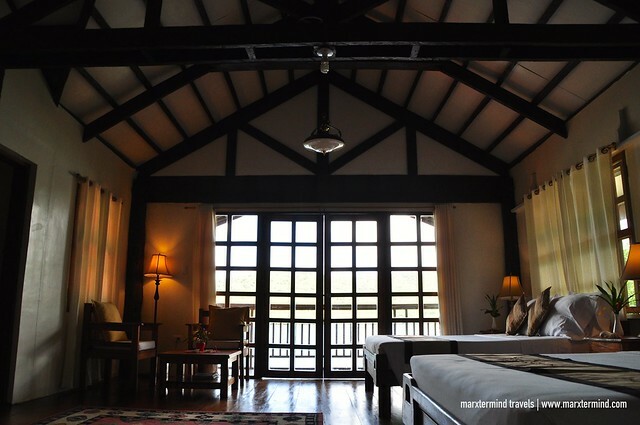 You’ll be greeted with astonishing view of the sea, the mountains and the plain. What more when you land and see the islands? Definitely, it is a majestic one. Coron is a prime destination in the Philippines. It is boasting with pristine beaches, astounding islands, exciting water adventures and scenic natural sites. Although I’ve been to this place several times already in the past, there are still a lot of places for me to see. As cliche goes, there is still more to discover. I wanted to experience something different from my former vacations in Coron; so I decided to spend my vacation at the municipality of Busuanga. 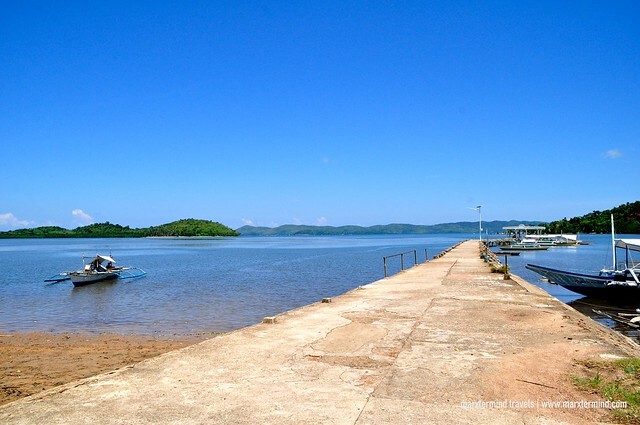 The town of Busuanga is located at the western side of Busuanga Island and covers half of it. Getting there from the airport takes about 1 and a half hour ride but you’ll be rewarded with pleasant and scenic views. 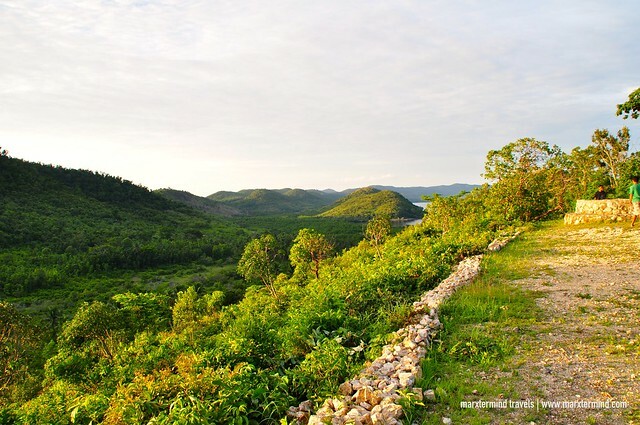 You’ll be driving through green forests, rolling hills and winding roads along the Coast of Busuanga Island. This part of the island is charming. It is more serene and undisturbed. With the opening of new resorts in the area, this place is now starting to get visited by tourists. It is starting to grow in terms of tourism. 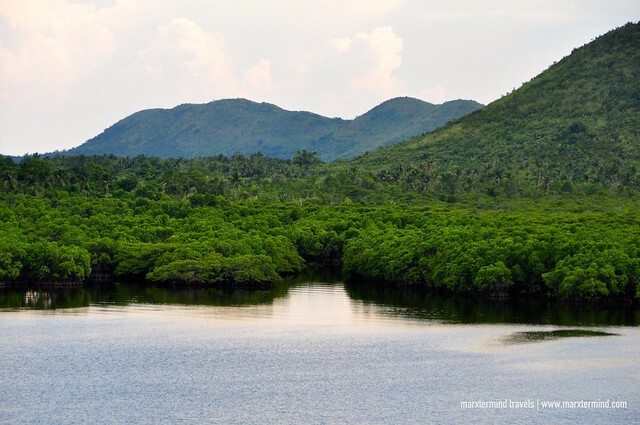 It is no doubt why people are beginning to choose Busuanga. It’s less crowded. 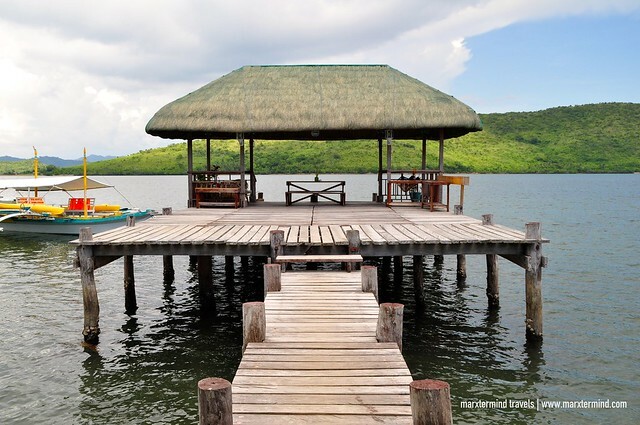 It’s a better place to spend a private vacation in Palawan. People also get to see the local culture of the island. 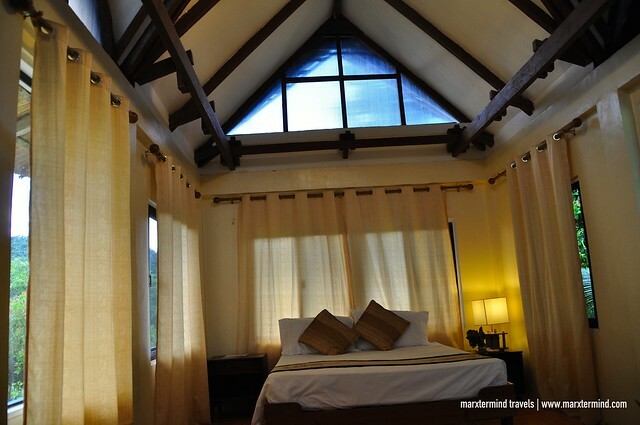 Just like what we had experienced when we stayed at La Estancia Busuanga. La Estancia Busuanga sits on a farm and estate and used to be the vacation home of Tony and Boots Garalde, who hails from Busuanga. They have recently converted it into a resort inviting guests to experience their private island lifestyle. 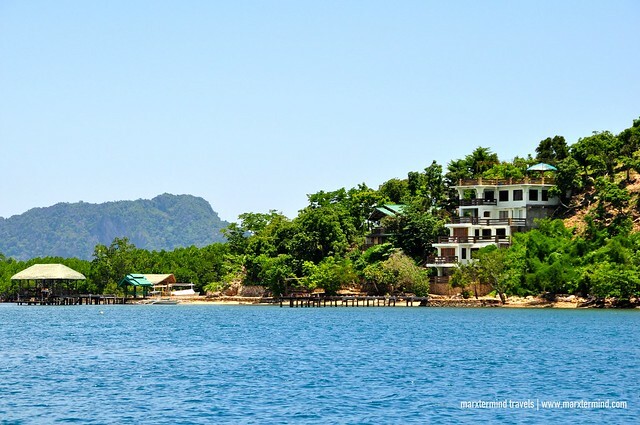 The resort can be reached by half an hour boat ride from the pier of Barrio Salvacion. The minute I stepped into this resort, I instantly felt the laid back vibe. It was like my privately owned vacation house. How I wish! But truthfully, I’ve immediately felt homey. 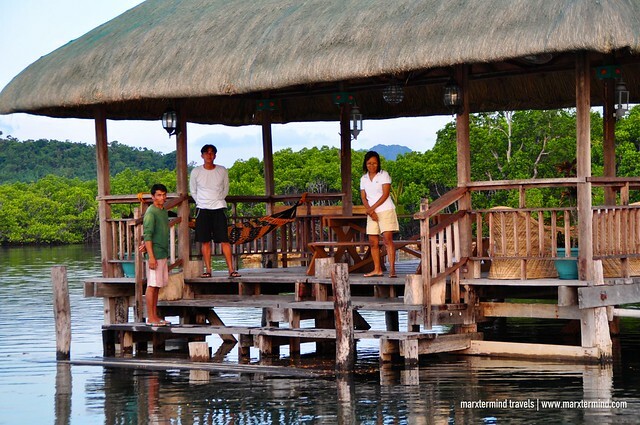 I believe it was a proof that La Estancia Busuanga is truly a place where guests are treated to the solaces of home. It was around lunchtime when my friend and I arrived at the resort. We were greeted by the staff and were given the usual cold towel and a fresh coconut juice. Well, hello island life! We were then taken in to our room. The resort offers two types of room with rates starting from PHP 5,000 based on twin sharing, a Superior type and an Elite one. Ours was an Elite Room. Upon entering, I felt the homey vibe once again. It was roomy and clean. I was starting to get comfortable with this place. It was just like we owned the resort and we were on a vacation. Oh my, there I was day dreaming again! But pardon me if I felt that way, much more when Ate Auring, who is one of the caretakers of the resort, told us that we were the only guests that time. Now, that’s what we call a private island vacation at its best! The entire appearance and interior of our room really looked like it was a vacation house. It has a veranda facing the sea. The view from there was just peaceful. 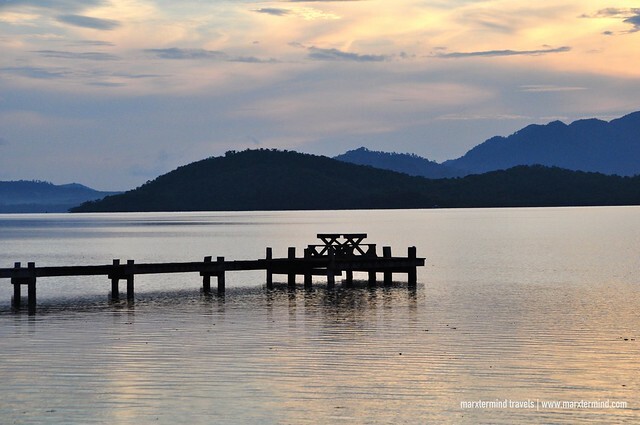 It has a picturesque view of the calm sea and the surrounding islands. 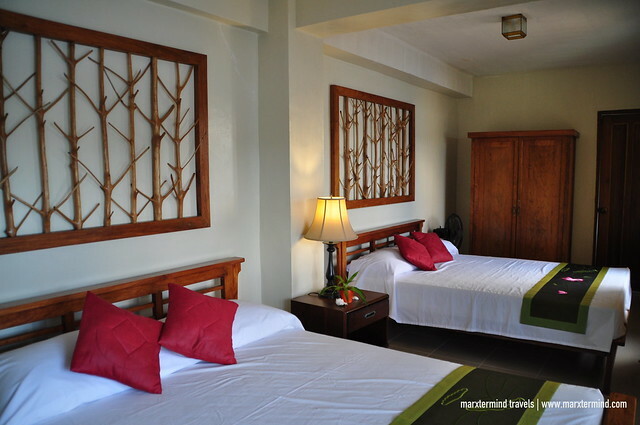 Rooms at La Estancia Busuanga are spacious, which can comfortably accommodate up to four persons. Each room is furnished with two queen beds, armchairs or daybeds and coffee tables. 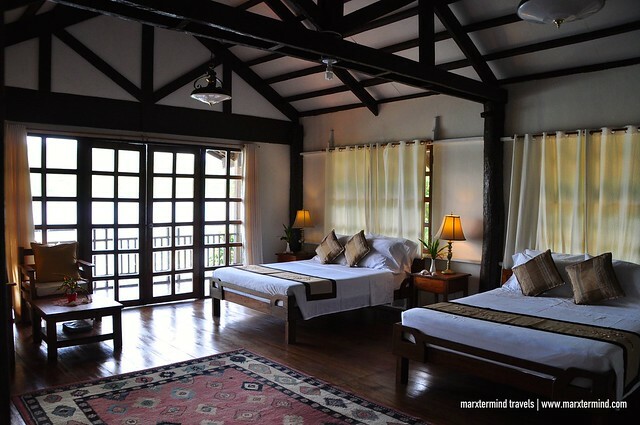 All rooms are air-conditioned and well appointed. 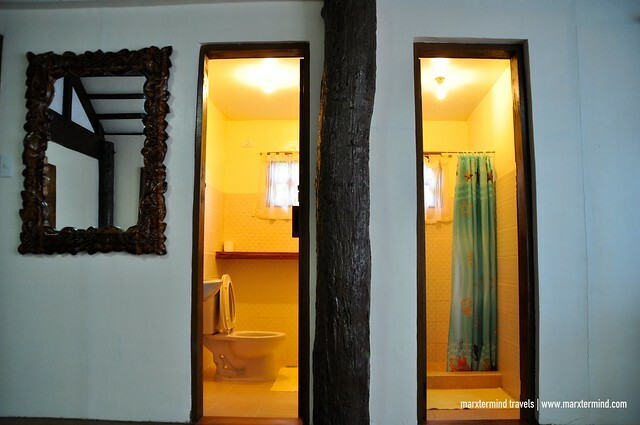 Each room has a private toilet and bath. 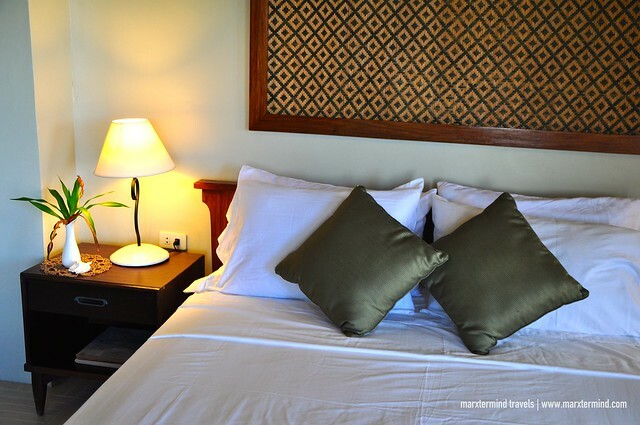 Rooms are tastefully decorated with handmade relics made by local craftsmen. Also provided in all rooms are coffee and tea facilities. Our vacation had become even more enjoyable because of the food. From our first lunch to our last breakfast, the resort didn’t disappoint to prepare us delicious meals. 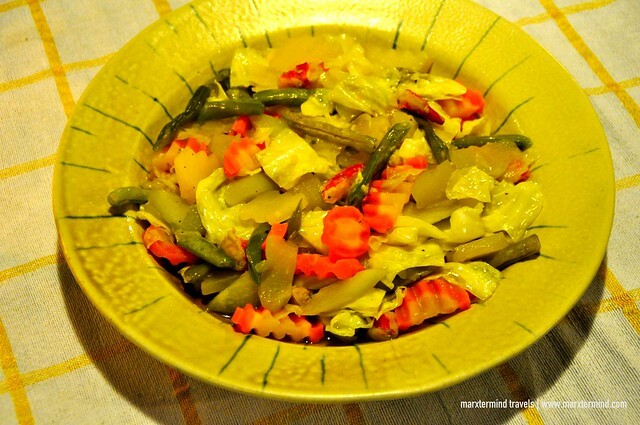 Dining is served in family style as what we, Filipinos, usually do. My buddy and I got surprised with the sumptuous meals prepared to us each time. We were just two but what they prepared for us was like good for four or five. We weren’t complaining because with how delicious the dishes were, my buddy and I could consume it all. 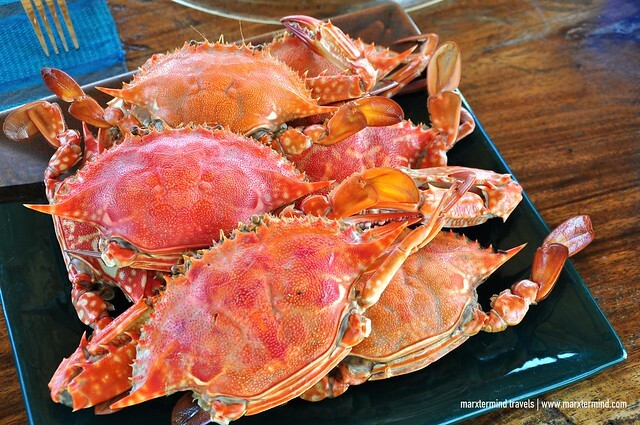 Some of our favorites are the Steamed Crabs, Chopsuey, Pork Chop and Grilled Fish. Fruits and desserts are also being served. 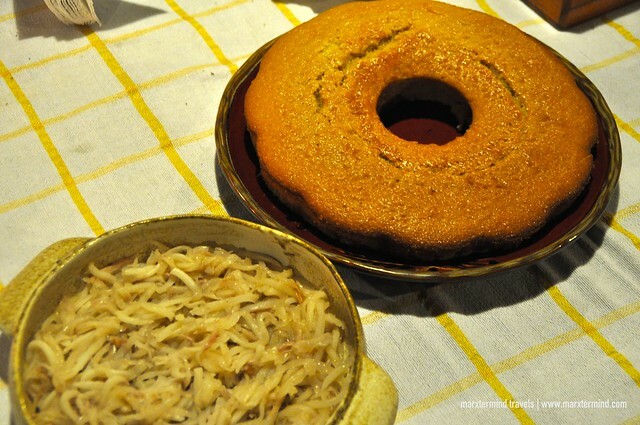 That homemade bread was our favorite! We even took a big slice to our room and had it for snack. The dining experience is also one of the things that guests could appreciate while in the resort. Guests can enjoy their food anywhere in the resort. We had our lunch at the aplaya, dinner at the wharf cabana and breakfast at the overlooking deck. Meals at the resort are prepared uniquely. 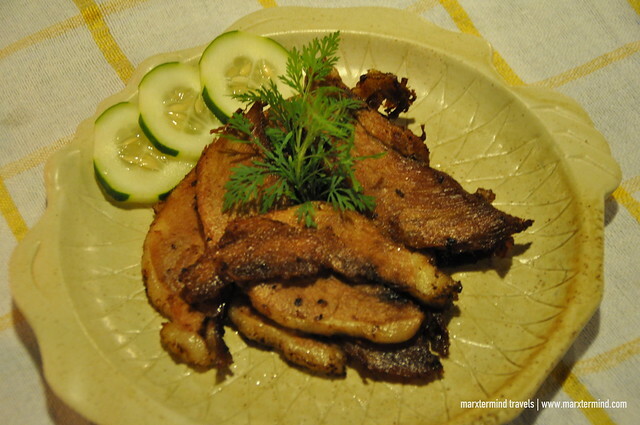 The resort prepares meal for the guests from its own organic vegetable and livestock farm and fish cages. 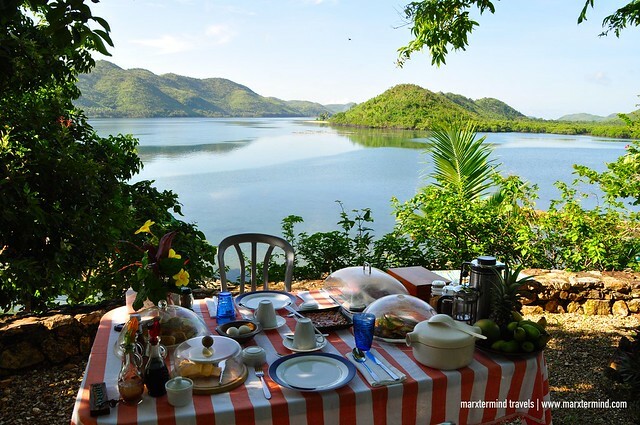 If guests desire they can also catch fish and experience picking fresh produce for their meals. Our vacation at the resort wouldn’t be complete without checking out the amenities. The resort has a swimming pool, a library, an entertainment room, a game room, a roof deck and a badminton and volleyball court. But if you prefer to spend somewhere quiet, the resort has plenty of corners for that. If not in our room, we spent most of our time at the wharf cabana. It was so peaceful out there. The surrounding was tranquil. I’m telling you, it was the best place to take a nap. 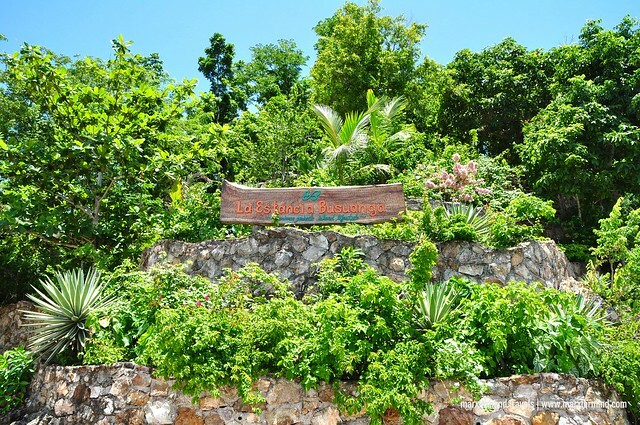 The resort also offers activities and outdoor adventures that guests could do, like bonfire, kayaking and island hopping. 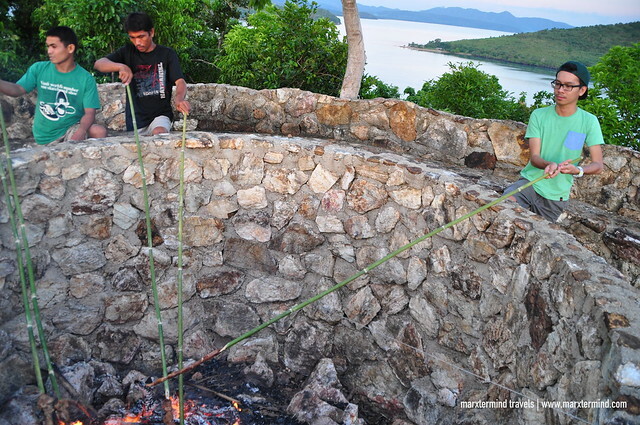 We were able to try bonfire on our first day and visit an island on our second day. Kuya Lester, one of the caretakers of the resort, assisted us on our island activities. We got to experience grilling our own barbecue using the longest barbecue stick we’ve ever seen. We’ve also got to roast some marshmallows at the bonfire. These things all happened at the hilltop. There, you’ll also be able to have a panoramic view of the island. We were also about to go kayaking at the mangrove forest but sadly it didn’t push through; I suddenly felt under the weather after our visit to the Black Island. The resort didn’t fall short in providing us outstanding facilities and great service. The staff were kind and very welcoming. They were attentive and helpful all the time. Their hospitality was truly superb. They went the extra mile when I got sick. They were all concerned about my condition, but I guess for me there was nothing to worry about. I just really needed to rest. I’ve been over fatigued for the past days before this trip, and I guess this vacation just came in at the right timing – a break I needed to repose. With cozy rooms, delectable food, great amenities and superb hospitality, I’ve found my own private paradise in Palawan in the name of La Estancia Busuanga. It was our vacation home for the weekend. It was a short stay but my friend and I had truly enjoyed our quick getaway. 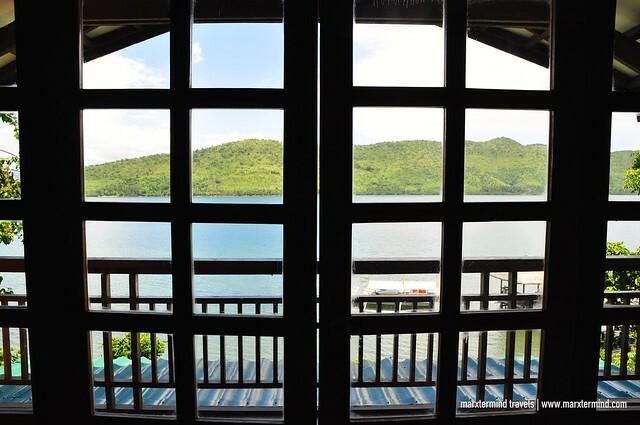 The resort let us experience a splendid island living by providing us a soothing time off while we were in Busuanga. It was that kind of break that I’ve been yearning to experience – an escape from the noise of the city and a vacation to just enjoy the place and the nature at its finest. Highly recommended to stay on this lovely welcoming peninsula. Tony and Boots Garalde with their staff from our driver, receptionist, cook and bangkero are very well accomodating and are very well sensitive to our needs. Well trained staff, respectful and honest. Call them or txt them and they will answer you right then. Hi! Nice piece, we are staying there next week 🙂 What is the best way to get there from the Airport? 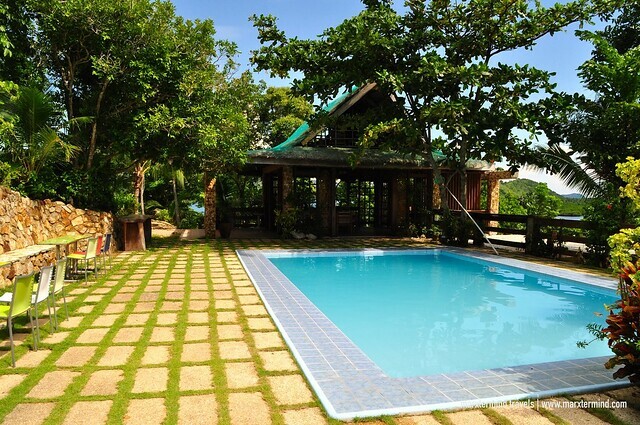 The place is actually more of a vacation house – parang gusto mo dun na lang. The resort will provide all day activities for you din.